지난 2월도 이노비에 참 감사한 일들이 많았습니다. 이노비가 이대 사회봉사 연계기관으로 승인되었습니다. 앞으로 이대 학생들은 이노비에서의 봉사활동을 학점으로 인정받을 수 있습니다. 또한 숙명여자대학교 음악대학과도 학생들의 이노비 재능기부 참여등의 협력관계를 추진중에 있습니다. 학생들에게는 사회 참여와 직업 활동의 기회가 될 것입니다. 서울 출장에 관한 더 자세한 소식은 아래 EnoB News에서 전하겠습니다. 이렇게 이노비가 앞으로 나아갈 수 있는 힘은 모두 후원해주시는 여러분에게서 나옵니다. 3월 23일 뉴욕 맨하탄에서, 올 한해 이노비가 열심히 활동할 수 있는 후원금을 마련하는 베네핏 콘서트가 열립니다. 많이 참석해주셔서 격려도 해주시고, 저희가 준비한 콘서트도 즐겨주시면 감사하겠습니다. I have come back to New York with many great results on my hand from the business trip I had in Korea last month. and a great internship program. 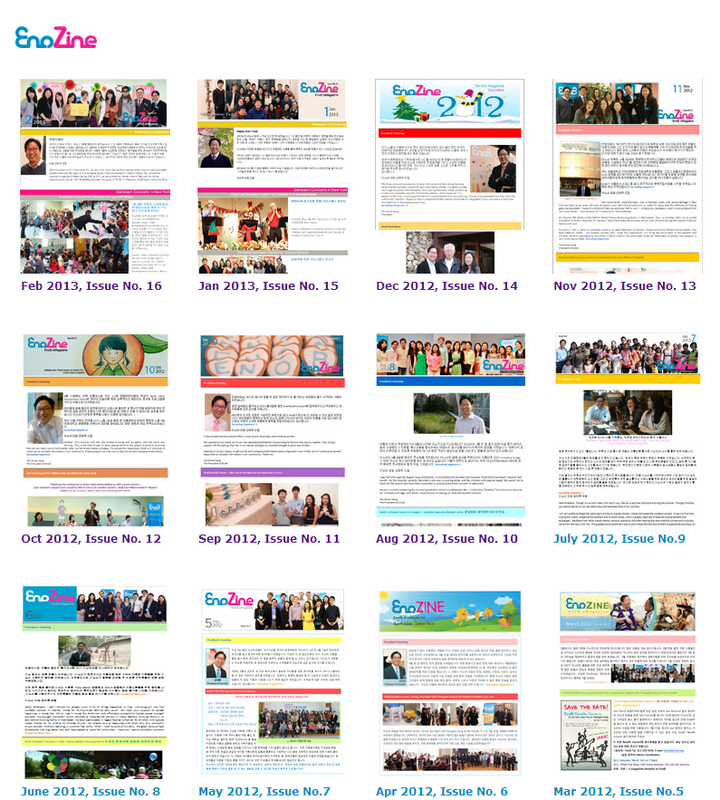 The detailed news about Seoul business trip will be reported in EnoB News Section. I believe the reason for EnoB's growth is due to your generosity. 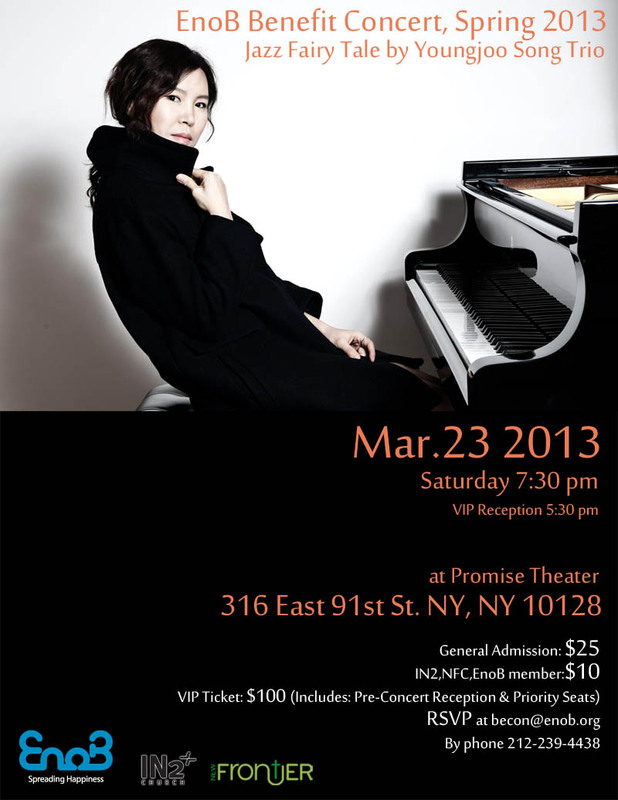 On March 23rd, EnoB-NY will be hosting a benefit concert to raise donations to support this year’s activities. It will be greatly appreciated to participate and enjoy our concert. EnoB의 세 번째 베네핏 콘서트가 3월 23일 (토) 7시 30분에 Promise Theater에서 개최됩니다. 이번 이노비 베네핏 콘서트는 유명 재즈 피아니스트 송영주님과 뮤지션들로 구성된 트리오가 함께 멋진 공연을 선사할 예정입니다.이번 Benefit Concert는 송영주님과 Yasushi Nakamura님, Clarence Penn님과 함께 수준 높은 재즈를 즐기실 수 있는 특별한 공연이 될 것입니다.토요일 오후 재즈의 선율과 함께하는 풍성한 베네핏 콘서트에 많은 관심과 참여 부탁 드립니다. 공연 티켓은 becon@enob.org 또는http://becon.eventbrite.com 이나 공연당일 입구에서 구입 가능합니다. 좀더 자세한 사항은 이메일이나 전화 212-239-4438로 문의 부탁드립니다. EnoB’s third benefit concert will be held on Saturday, March 23rd at Promise Theater , beginning at 7:30 PM. Our concert will feature a Trio (of musicians) including one of Korea’s leading and renowned jazz pianists, Youngjoo Song. For further details and additional questions, contact us by email or by phone (212-239-4438). 재 즈 피아니스트 송영주님은 2008년 재즈 피플 리더스폴 수상자, 2010년 한국 대중음악상 최우스 재즈 음반상, 2010년 재즈 연주자 피아노 부문, 2012년 한국 대중음악상 음반부문 최우수 재즈&크로스 오버 연주상에 선정된 바 있는 한국 최고의 재즈피아니스트 중 한 분 이십니다. 최근 ‘재즈계의 카네기홀’이라 불리는 맨해튼의 ‘블루노트 재즈클럽’에서 단독 공연을 마쳤습니다. 송영주님은 함께 작업한 평론가와 대중이 인정한 재즈 피아니스트 입니다. Yasushi Nakamura님은 일본 도쿄 출생의 시애틀 출신으로, 이미 North Sea 재즈 페스티벌과 카네기 홀에서 공연을 하신 유명한 뮤지션 입니다. 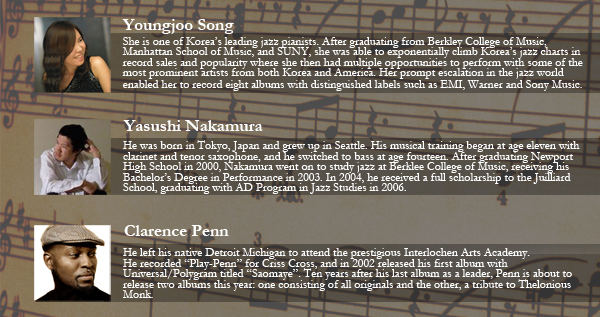 Clarence Penn님은 미시간 디트로이트 출신으로 명문 Interlochen Arts Academy에서 공부하였고, 2002년 유니버셜에서 "Saomave" 라는 제목의 그의 첫 앨범을 발매한 유명한 뮤지션 입니다. 서울대학교 어린이병원의 요청으로 이노비는 3월부터 매월 1회~2회, 어린이병원 환자들과 정기적으로 만나는 시간을 가지게 되었습니다. 어린이 환자들에게 문화체험과 교육이 이루어지는 특별한 프로그램을 준비 중에 있습니다. 연대 세브란스병원의 재활병원의 요청으로 4월부터는 매월 1회씩 재활병동 환자들을 위한 아웃리치 공연을 정기적으로 가집니다. 환자분들은 병실이 있는 병동에서 좀 더 가까이 음악을 들을 수 있게 됩니다.또한 이 프로그램을 위해 5월과 6월에 서울예술대학교의 수업과 연계하여 학생들의 참여가 있을 예정입니다. 서울시립 서남병원(이화여대병원 위탁운영)에서 아웃리치 요청을 받았습니다. 서남병원은 노인성질환전문병원으로 노인환자가 대부분입니다. 또한 동해 YWCA와 평택의 햇살 사회복지회로부터 아웃리치 요청을 받았습니다. 이노비는 이들 단체와의 협력을 통해 곧 아웃리치 콘서트를 가질 예정입니다. 지멘스 코리아에서는 의료기기를 갖춘 차량을 가지고 의사 선생님들과 함께 저소득층 아이들의 무료 진료를 해주는 “모바일 클리닉”을 매월 1회 진행하고 있습니다. 5월 어린이날을 맞아 아이들에게 좀 더 특별한 추억을 만들어 주고자, 모바일 클리닉과 함께 이노비가 찾아가 저소득층 아이들을 위한 공연을 열기로 했습니다. Starting from March, EnoB will be meeting with the patients at Children Hospital on regular basis by the request of Seoul University’s Children Hospital. EnoB is planning a special program for children to experience the cultural event and education. At the request of Yonsei University’s Severance Hospital, EnoB will be hosting an Outreach Concert for the patients once a month at rehabilitation center starting from April. Furthermore, on May and June, there will be a class and students participations at Seoul Institute of the Art for our music program. In addition, EnoB received a concert request from Seoul Municipal Sunam Hospital. Suman Hospital is a geriatric illness specialized hospital consisted mostly with elderly patients. EnoB will be working with Sunam Hospital and host an Outreach Concert. Siemens Korea is carrying out a program called “Mobile Clinic,” a free medical consultant and treatment for the children in lower-income bracket, once a month with full set of medical devices and the doctors. To make a special memory for the Children’s Day, Mobile Clinic and EnoB are going to visit children in lower-income families and open a concert for them. 2 월 7일 이노비는 사우스 엠보이에 위치한 은혜가든에서 몸이 불편한 한국과 미국의 노인 분들을 위한 클래식 콘서트를 개최했습니다. 이번 공연에는 윤자영, 조홍식, 한은애님께서 재능기부를 해주셔서 아름답고 따뜻한 위로를 하고 돌아왔습니다. 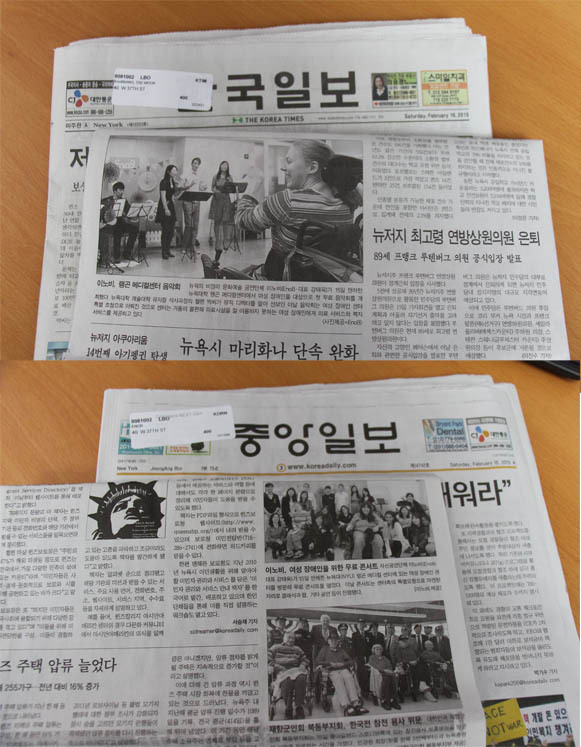 On February 7th, EnoB visited Mercy Garden in South Amboy for the first time to perform for Korean and American seniors. Three talented musicians named Jayoung Yoon, HyongSik Jo, and Eunae Han donated their time to perform at this wonderful concert. 2 월 15일 오후 1시 15분에는 NYU Langone Medical Center에서 15~30세의 장애여성들을 위한 신나는 공연을 하고 돌아왔습니다. 이번 공연에는 뮤직디렉터와 싱어로 헬렌 박님, 싱어Emily Borromeo, Justin Dewolf, 퍼커션에Martin Collin그리고 기타에 조나단 리님께서 공연을 풍성하게 꾸며주셔서 그곳에 계신 장애 여성분들의 마음을 위로해드리고 돌아왔습니다. 2 월 2일 오전11시, 정인욱 영어캠프와 함께하는 시각장애 청소년들을 위한 이노비의 아웃리치 콘서트가 서울 서강대학교에서 개최되었습니다. 이노비가 처음 함께 하게 된 이번 공연에는 세계 최초의 마림바 연주자 전경호님이 무대에 함께 올라 뜻 깊은 공연을 선사했습니다. 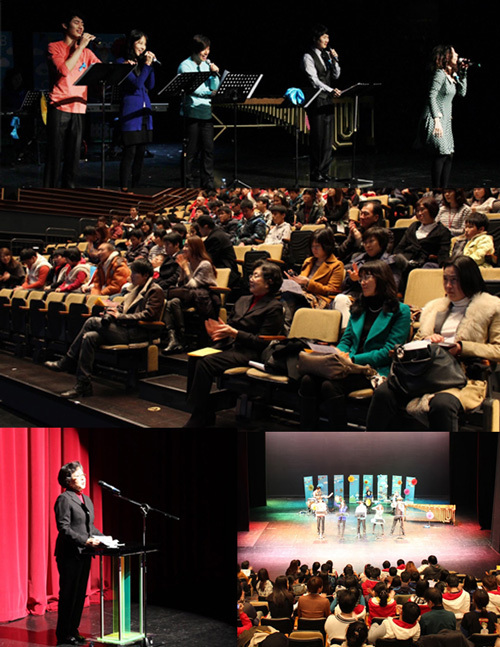 On February 2nd, EnoB Seoul hosted an outreach concert at Sogang University of South Korea. In conjunction with Chung In Wook Welfare Foundation, EnoBian musicians performed for blind middle and high school students. 이노비는 삼성서울병원에서 환자분들을 위한 아웃리치 콘서트를 개최했습니다. 뮤지컬 배우들과 연주자들이 함께 만들어내는 아름다운 하모니가 병원 생활에 움츠러든 환자분들의 몸과 마음을 따뜻하게 위로해 주었습니다. 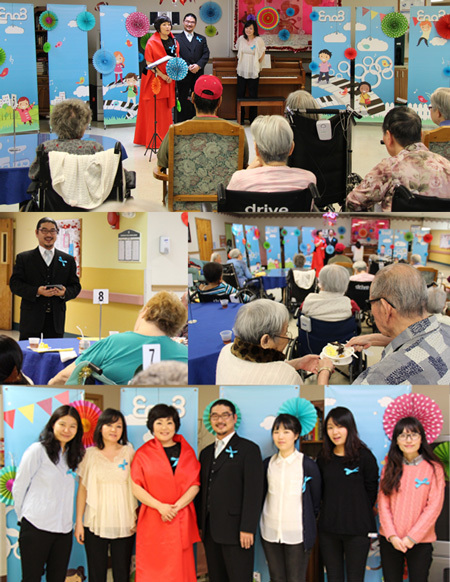 On February 14th , EnoB held an outreach concert for the patients at Samsung Medical Center. Beautiful harmonies were created by the talented musicians, warming the bodies and minds of the patients fighting against the disease. 이노비의 인턴 박소연, 김시령, 성종욱님을 소개합니다. 박 소연님은 현재 WEST라는 인턴쉽 프로그램을 통해 이노비에 오게 되었습니다. 박소연님은 안동대학교에서 경영학을 공부하고 있으며, 마케팅과 경영에 관심이 많습니다. The Eemerald Planet 이라는 NGO에서 인턴을 한 경험을 바탕으로 EnoB에 지원하게 되었다고 합니다. 김시령님은 현재 뉴욕대 (New York University)에 재학 중으로, 정치학을 전공하고 있습니다. 예전에 양로원에서 봉사활동을 한 계기로 이노비에 관심을 가지게 되었습니다. 이노비 에서의 경험이 진로에 도움이 될 거 같아서 지원했습니다. 성종욱님은 현재 Baruch College 4학년에 재학 중이며 회계학을 전공하고 계십니다. 과거 밀알에서 봉사활동을 하였던 것을 인연으로 EnoB에 관심을 가지게 되어 인턴쉽을 하게 되었습니다. EnoB에서 Tax filing 및 Financial Statement 작성과 전반적인 NGO 업무에 대해 배우고 싶으시다고 합니다. 박소연님, 김시령님 그리고 성종욱님 모두 EnoB에서 뜻 깊고 보람 있는 시간을 보내시길 바랍니다. Soyeon Park is majoring in Business and Economics at Andong National University in Korea. She joined EnoB through WEST, a professional internship program supported by the Korean government and the United States Department of Defense. From her former internship at the EmeraldPlanet, an NGO (non-governmental organization) in D.C., Park became very interested in the inner workings of non-profit organizations. Si-Ryoung Kim is currently majoring in Politics at New York University. 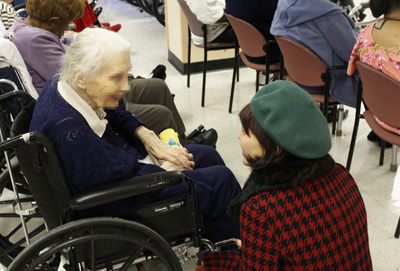 Si-Ryoung Kim became interested in EnoB from her past volunteer experience at a nursing home. She joined the EnoB team with hopes that her experiences will help her with her future career. 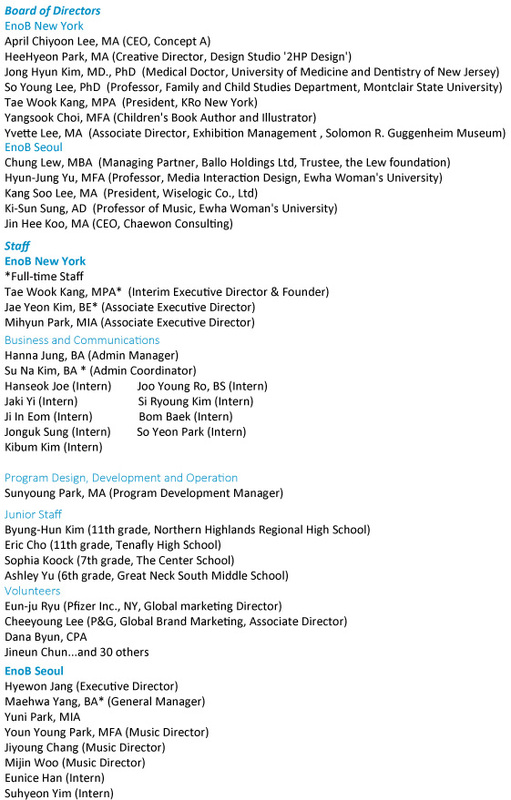 Jonguk Sung studies Accounting in Baruch College. 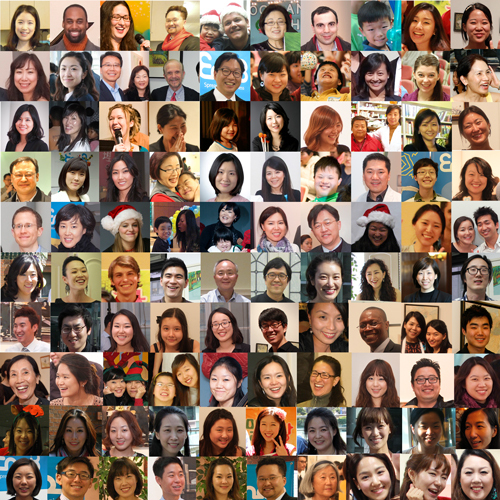 Interested in non-profit organizations from volunteering in Milal Mission, Jonguk Sung joined the EnoB team. 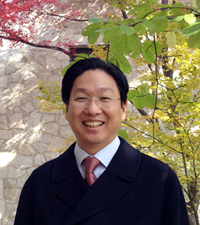 Jonguk Sung is excited about learning and gaining skills in tax filing, financial statements, and general management of non-profit organizations. We hope that all of their internships with EnoB will be incredibly rewarding experiences! 지 난 2월 15일 현대 HCN 서초방송 “뉴스와이드”에 이노비의 아웃리치 콘서트가 소개되었습니다. 예술인들의 재능기부로 마음의 치유가 필요하신 분들께 직접 찾아가 힐링이 되어주는 이노비의 활동 현장을 보시려면 왼쪽의 사진을 클릭하세요!! On Feb 15th, 2013, EnoB's outreach and interviews were broadcast via Hyundai HCN News wide. Click on photo to the left if you would like to show EnoB Activities on-site, where EnoB go directly and Heal patients who need healing of the mind. 삼성그룹 블로그 “삼성이야기”에 이노비가 삼성서울병원에서 가진 아웃리치 콘서트가 소개되었습니다. 아래 쪽 링크를 클릭해 확인해 보세요. 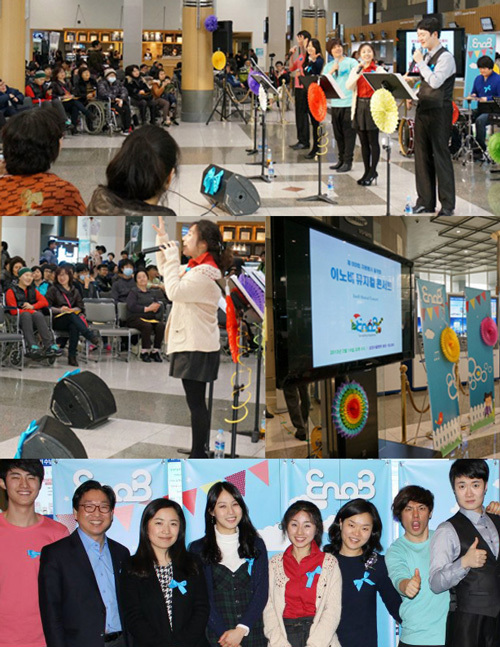 EnoB outreach concert has been introduced in Samsung Group’s blog. Click the photo on the left to check out. 이노비의 새로운 해피니스 스크린을 소개합니다! 아 웃리치 콘서트 마다 늘 함께하는 이노비의 해피니스 스크린은 계속해서 다양한 모습으로 즐거움을 드리고 있는데요! 새해를 맞아 또 한번 새로운 모습으로 찾아왔습니다. 이번 스크린이 뮤지션들 뒤를 환하게 장식하는 모습 쭉 지켜봐주세요! 이번에 새롭게 디자인 된 2013년 첫 번째 해피니스 스크린은 디자이너 정재경님께서 디자인 하시고 It's a Wig에서 후원 해주셨습니다. 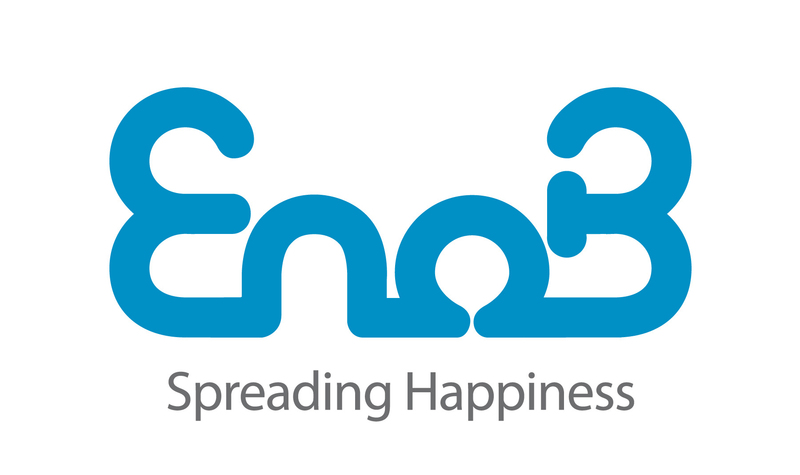 Introducing EnoB’s new Happiness Screen! 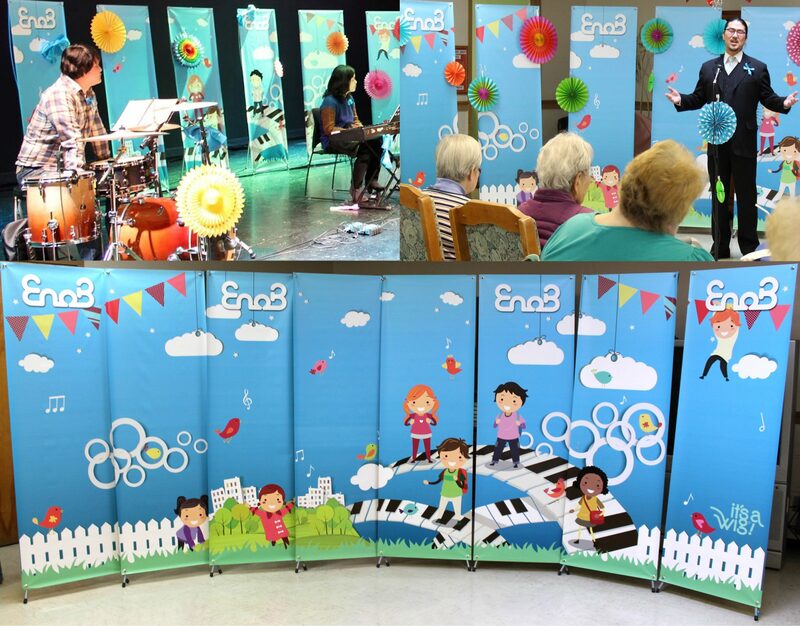 EnoB’s Happiness Screen is a great source of joy during all of our outreach concerts. Here it is back again with a new design! You can look forward to seeing our Happiness Screen as it decorates our stage! We would like to thank Jae Kyung Jeong for the designing of this year’s Happiness Screen and our wonderful sponsor 'It's a Wig'. 3월7일 목요일 2:30pm에 이노비는 맨하탄에 위치한 드윗 널싱 센터에서 몸이 불편한 어르신들을 위한 아웃리치 콘서트를 개최할 예정입니다. 그곳에 계신 어르신들에게 따뜻한 위로가 될 수 있도록 열심히 준비하고 있습니다. 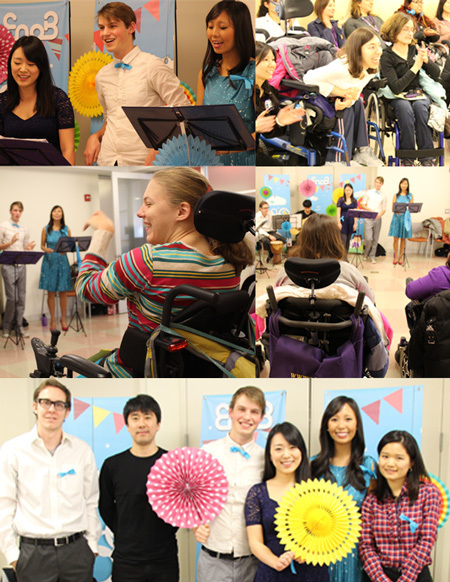 On March 7th , EnoB Outreach Concert will be held at DeWitt Nursing Center located in Manhattan at 79th Street. We hope that the concert can help soothe and lessen the isolation and loneliness of the seniors.